It’s a fine day to visit the Blue Hill Fair and enjoy Maine’s beautiful ’tween temperatures that occur when it's a little past real summer, but not quite real fall yet. The Fair originated in 1891 and has become known especially for its extensive midway and ride choices (three Ferris wheel-like rides, among other things) and weight-pulling contests (this year: oxen. horse, and truck pulls, but no antique tractor pull). In the Ox and Horse Pulls, a team of two animals is connected to a “stoneboat,” which originally was a flat-bottomed vehicle loaded with stone; it's now is a wooden sled loaded with cement blocks. Usually, the starting weight is double the combined weight of the two animals and they’re judged by the amount of weight pulled over a given time. The weight can be increased in the Canadian Ox Pull each time that it travels three feet or more. The weight stays the same during the Horse Pull, which is categorized according to the combined weight of the horse team. 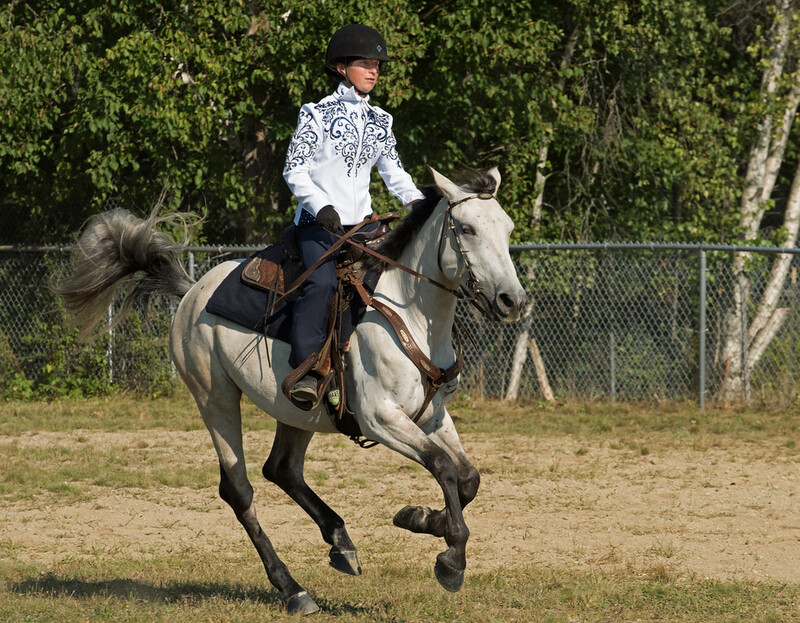 For example, a “3600 Class Horse Pull” will involve a team of horses that weighs 3,600 pounds or less, usually pulling about twice their weight. 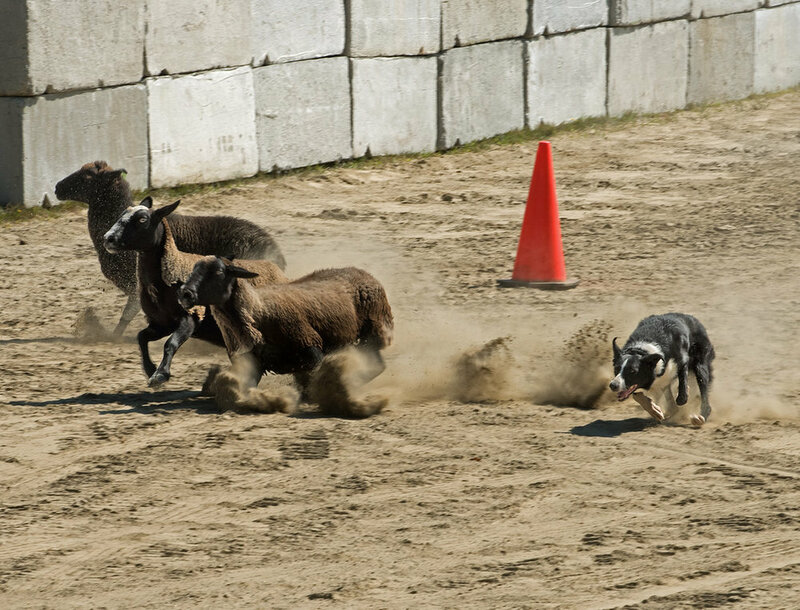 It isn’t an easy day for the sheep in the Sheep Dog Trials, however. This is where Border Collies intimidate them by giving them “The Eye” and herding them through an obstacle course in a set period of time. The shelter dogs in the Stunt Dog Challenge are a little more dramatic and just as well trained. The most popular event this year, according to reports, is the Truck Pull in which souped-up trucks are connected to a large “dynamometer pull sled,” which increases the weight drag as it moves. There's lots of churning wheels and eardrum-shattering motor noises, as well as a truck blowing an engine or tossing an axle every now and then. Some are mechanically quiet, but you can hear the screams that they produce for half a mile.